The Cell Microscopy Core of the Section Cell Biology participates in Euro-BioImaging as expert Node for Correlative Light – Electron Microscopy. Madelon Maurice has received a prestigious VICI grant from NWO. Title: Controlling the controller: Regulation of signals that guide stem and cancer cell growth and differentiation. Stem cell-mediated tissue renewal is precisely controlled by signals from the environment. These signals are often misused by cancer cells. Madelon aims to understand how stem cells capture and process these signals in order to better intervene in these processes in tissue repair and cancer. The group of Fulvio Reggiori, together with that of Maurizio Molinari (IRB Bellinzona) and Matthias Peter (ETH Zurich), has received a Sinergia grant of approximately 1’550’000 Swiss Francs from the Swiss National Sience Foundation (SNF), to study the selective degradation of the endoplasmic reticulum by autophagy. 04/07/2014: Ruben Gomez-Sanchez has received a postdoctoral fellowship from the Fundacion Ramon Areces to join the laboratory of Fulvio Reggiori. 12/05/14: The research of the group of Madelon Maurice has been highlighted in the Spanish newspaper El pais. 12/05/14: Yingying Cong (College of Veterinary Medicine, Northeast Agricultural University, Haerbin, China) has received a PhD fellowship from the China Scholarship Council (CSC) of the Ministry of Education to perform her studies in the laboratory of Fulvio Reggiori. 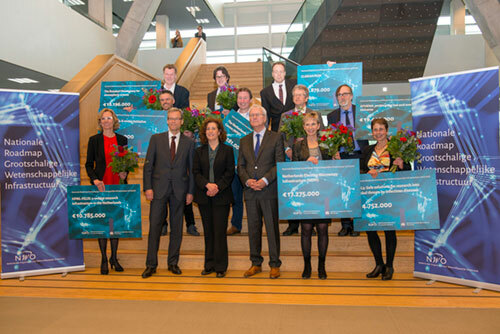 08/05/2014: Jorg van Loosdregt was awarded with a WKZ research grant to study the role of autophagy in the regulation of Treg cell function. With this knowledge he aims to identify novel therapeutic targets to restore the immune balance in patients with Juvenile Idiopathic Arthritis. The money (€150K) will be used to employ a research technician for two years. Co-applicants: Berent Prakken and Fulvio Reggiori. 01/12/2013: Anton Martens and Richard Groen from our department received a prestigeous grant from the Leukemia and Lymphoma Society (LLS) in the Quest for Cures program 2013. Richard Groen has been selected to participate in the Translational Research Training in Hematology (TRTH), a program that is a joint effort of the European Hematology Association (EHA) and the American Society of Hematology (ASH) and is focused on helping early-career scientists build successful careers in hematologic translational research, including pathogenesis, diagnostics, and experimental treatment of hematological disorders. Twenty early-career scientists are selected each year to participate in this rigorous training program, which provides junior researchers with a unique, year-long training and mentoring experience. The TRTH faculty is made up of international leaders in hematology who cover biostatistics and biomarkers, genetics and molecular biology, ethics, and phase I clinical study design. Judith Klumperman was awarded the ISAO grant for the project 'Targeting lysosomal enzyme activity in Alzheimer Disease'. A hallmark of dystrophic neurons of Alzheimer's Disease (AD) patients is the massive accumulation of dysfunctional endo-lysosomal compartments. Impaired endo-lysosomal proteolysis starts early in the development in AD and is an important cause of Ab accumulation and progression of cellular pathologies. This projects aims to understand the contribution of the endo-lysosomal system to AD development and find tools to alleviate AD-induced defects of endo-lysosomal functioning. 07/10/2013: The 2013 Nobel Prize in Physiology or Medicine has been awarded to Randy Schekman , Jim Rothman , and Tom Südhof in recognition of their breakthrough experiments on vesicle transport mechanisms. An initially controversial hypothesis held that newly synthesized secretory proteins are transported in discrete quanta — in vesicular carriers that bud from a donor membrane and deliver their contents by fusion with a target membrane. The principles for incorporating proteins in vesicular carriers were amongst others elucidated by Nobel laureates Mike Brown and Joe Goldstein when analyzing how LDL-associated cholesterol entered the cell. The molecular rules for generating transport vesicles, their journey through the cytoplasm and fusion with a target organelle were however totally unknown. Randy Schekman and Jim Rothman, both deeply influenced by the reconstitution paradigm of Arthur Kornberg, entered the field in the late seventies and brought our understanding of vesicle traffic from a merely descriptive level to the beginning of a mechanistic understanding. Schekman used forward genetics in budding yeast to define the trafficking pathways in this organism and characterize a large collection of so called SEC mutants that block vesicular traffic between different compartments. Rothman took on the daunting task of developing a biochemical in vitro assay for reconstituting glycoprotein transport through the Golgi complex in a test tube. With progressively increasing sophistications, he succeeded in purifying and cloning proteins that enabled vesicles to dock and fuse with target membranes. In the fusion reaction, proteins on the vesicles and target membranes bind to each other like the two sides of a zipper. Several of the genes Schekman had discovered in yeast encoded proteins corresponding to those Rothman identified in mammals, revealing an ancient evolutionary origin of the transport system. Collectively, they mapped critical components of the cell´s transport machinery for which they received the Lasker award in 2002. Südhof investigated how nerve cells communicate with each other in the brain. They do so by releasing neurotransmitter from synaptic vesicles that fuse with the membrane of neurons using the proteins discovered by Rothman and Schekman. Synaptic vesicles should only release content during neuronal signaling, a process controlled by calcium ions. Südhof discovered calcium-sensitive proteins in neurons and the molecular machinery that responds to an influx of calcium ions. These proteins mediate rapid binding of vesicles to the cell surface of the nerve cell and open up the zippers that Rothman identified before, allowing for neurotransmitter release. Südhof´s discovery explained how temporal precision is achieved and how vesicle contents are released on command. He received the Lasker award together with Richard Scheller in September 2013, merely one month prior to the Nobel Prize. 07/10/2013: At the ESH International Conference on Multiple Myeloma, organized by the European Hematology School, held in Dublin, Ireland , from October 4-6, 2013, Jessica Sigmans (Anton Martens group) has received a scholarship (€ 600) for her contribution Disregulated osteogenesis by mesenchymal stromal cells (MSC) after in vivo exposure to multiple myeloma: Studies in a novel humanized mouse model for bone remodelling in myeloma. 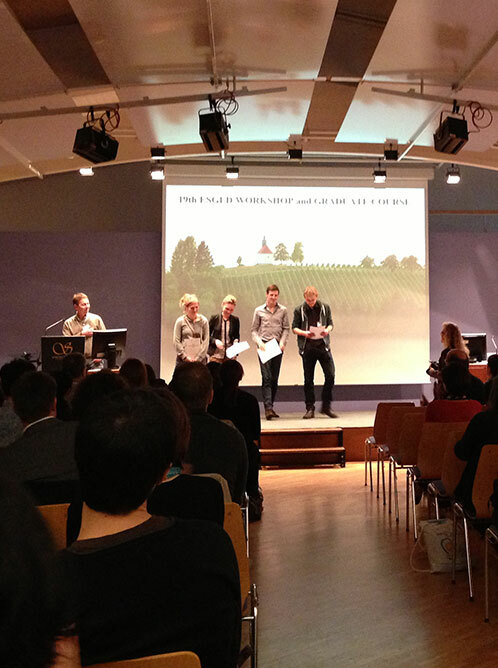 At the 19th meeting of the European Study Group on Lysosomal Disorders, held from September 25-29 in Leibnitz, Caspar Jonker of the Department of Cell Biology was out of 70 entries awarded the Young Scientist’s award (€600) for his poster on the characterization of the mammalian CORVET complex. The studies of Caspar show how CORVET is essential for healthy cellular functioning and explains how mutations in CORVET lead to diseases, such as the multisystem disorder ARC syndrome. Fulvio Reggiori has received a prestigious VICI grant from NWO to continue his investigation on the molecular mechanism of autophagy (http://www.nwo.nl/actueel/nieuws/2013/miljoenenpremies-naar-32-toponderzoekers.html). Cell biologists Graça Raposo and Harry Heijnen received from Prof. Hans Clevers, president of the KNAW, and Pierre Menat, the ambassador of France, the Descartes-Huygens prize (link). Graça Raposo and Harry Heijnen have received this award for their excellent research and their contribution to the Franco-Dutch cooperation. The prize money of 23’000 € for each laureate, is intended for a stay as a guest researcher in The Netherlands or France. Harry Heijnen is for many years an affiliated researcher of the Department of Cell Biology, whereas Graça Raposo was a postdoc in the 90’s. The work that they performed at the Department of Cell Biology, especially using electron microscopy techniques, has significantly contributed to the rewarded research. On November 1st, Eline van Kappel joined the Maurice group as a PhD student. She will focus on the question of how mutations in core Wnt pathway proteins deregulate signal relay and drive tumorigenesis. On October 23th, Ester Rieter (Reggiori group) has successfully defended her PhD thesis entitled The molecular organization of the phagophore assembly site. Madelon Maurice was awarded an ERC Proof of Concept grant to commercialize a novel technology to identify and isolate Wnt sensitive stem cells. On July 6th, Emma Martinez Sanchez (van der Sluijs group) has successfully defended his PhD thesis entitled Molecular mechanisms regulating exocytosis from post Golgi compartments. On June 14th, Maaike Pols (Klumperman group) has successfully defended her PhD thesis entitled Transport pathways of lysosomal membrane proteins through the endosomal system. The CSC has now made available a copy of the Thermo Human OTP siRNA library in 2D-barcoded mini-tubes. This allows investigators to rapidly validate siRNA screeing hits and also to generate focused custom siRNA libraries to address specific questions. The mini-tube storage technology was purchased from FluidX. The mini-tube library is managed using our new SLIMS reagent management system that has been implemented by Warren Birnbaum and Wienand Omta. The mini-tube collection is a central feature of the CSC GeneScreen service. In January the CSC completed it's first genome-wide siRNA screen. The project was run by Roy van Heesbeen from Prof. Rene Medema's group and Daphne Lelieveld from the CSC. Prof. Medema's group has recently moved to the NKI-AvL in Amsterdam but the collaboration is continuing on the follow-up of screening hits. On December 19th, Wienand Omta joined the CSC as a PhD student. His project is being carried out in collaboration with Marco Spruit at the UU Department of Information and Computing Sciences. His co-promoters will be Prof. Judith Klumperman, UMCU and Prof. Sjaak Brinkkemper, UU. On March 1st Elisabeth van der Vaart started as a technician at the CSC. She is working on an STW-funded project on the discovery of novel inhibitors of the growth hormone receptor with Dr. Lieke van der Velden. Catalina Gomez-Puerto and Anita Govers started their PhD studies in the Paul Coffer's lab. On March 15th, Daniele Tauriello (Maurice group) has successfully defended his PhD thesis entitled Mechanisms in proximal Wnt signaling. On February 1st, Mustafa Ulasli (Reggiori group) has successfully defended his PhD thesis entitled Coronavirus replication in host cells. On November 2nd, Aniek van der Vaart (Reggiori group) has successfully defended her PhD thesis entitled Membrane dynamics during autophagy in yeast Saccharomyces cerevisiae. Daniele Tauriello (Maurice group) was awarded the yearly publication prize of the Institute of Biomembranes for his paper in Molecular Cell. Fulvio Reggiori and Christian Ungermann (University of Osnabrueck) have been awarded a NWO-DFG bilateral programme grant to work on various aspect of autophagy in yeast and to exchange people between their laboratories to acquire new experimental competencies. David Egan, Ger Strous and Judith Klumperman have been awarded a grant for the proposal Targeting the Jak2 - growth hormone receptor interaction for treatment of cancer. Fulvio Reggiori and Judith Klumperman have received an ECHO grant to work on the role of the yeast Atg9 reservoirs in autophagosome biogenesis.